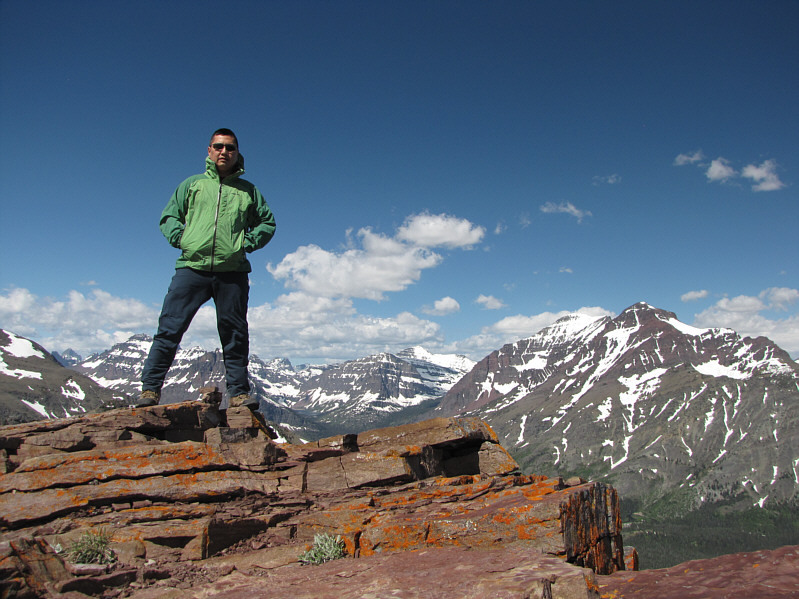 After a restless night sleeping in my car at the Two Medicine Lake campground in Montana's Glacier National Park, I was eager to put in a long day of hiking and scrambling on the morning of 9 June 2013. 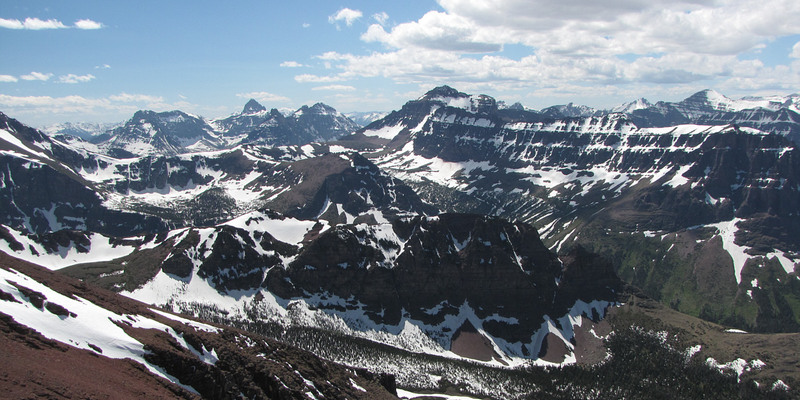 Due to concerns about an abundance of lingering snow, I scrapped my original plan to climb nearby Rising Wolf Mountain and opted instead to try the Scenic Point Ridge Walk (or Loop) as described by J. Gordon Edwards in his A Climber's Guide to Glacier National Park. 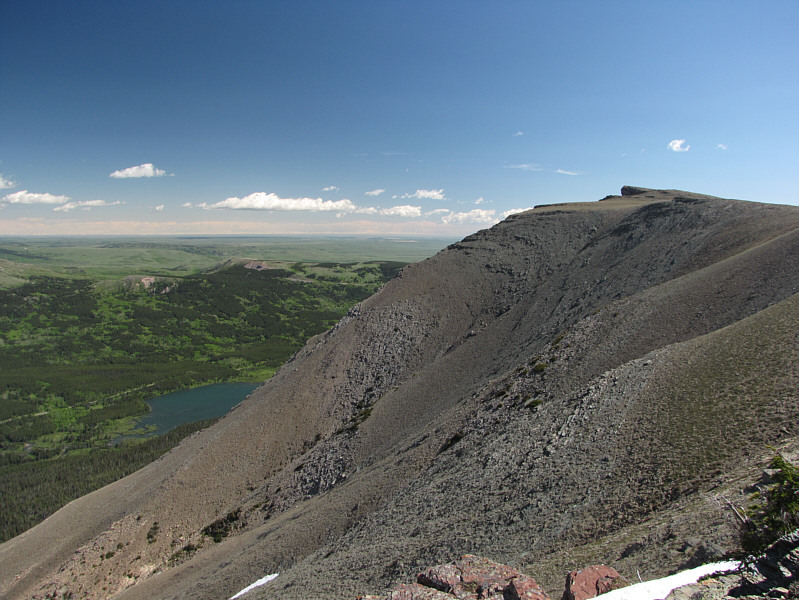 With an excellent approach trail, I made short work of the 650-metre climb to Scenic Point which is merely an outcrop of rock overlooking Two Medicine Lake. 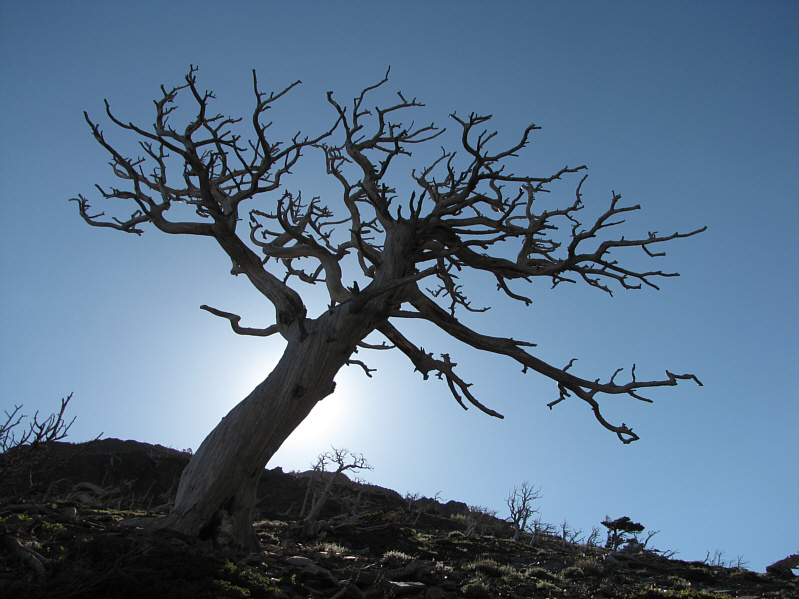 Above tree line, a strong and sometimes truculent wind became my constant companion throughout the rest of the day. After tagging the top of Scenic Point, I backtracked a bit along the trail before going cross-country across a vast meadow toward a rounded hump unofficially known as Medicine Peak (strangely, two lower humps to the east have official names). 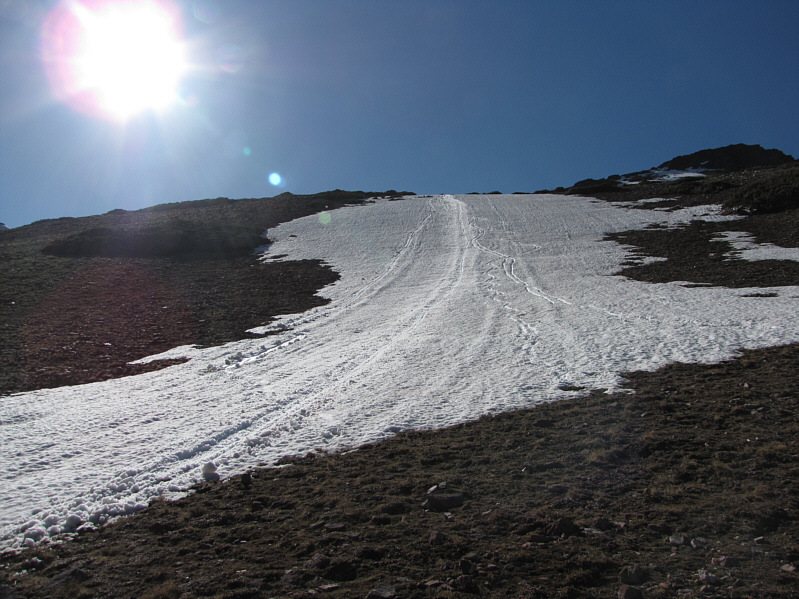 Though easy, the ascent of this peak seemed to drag out forever due to the severe foreshortening of the slope. 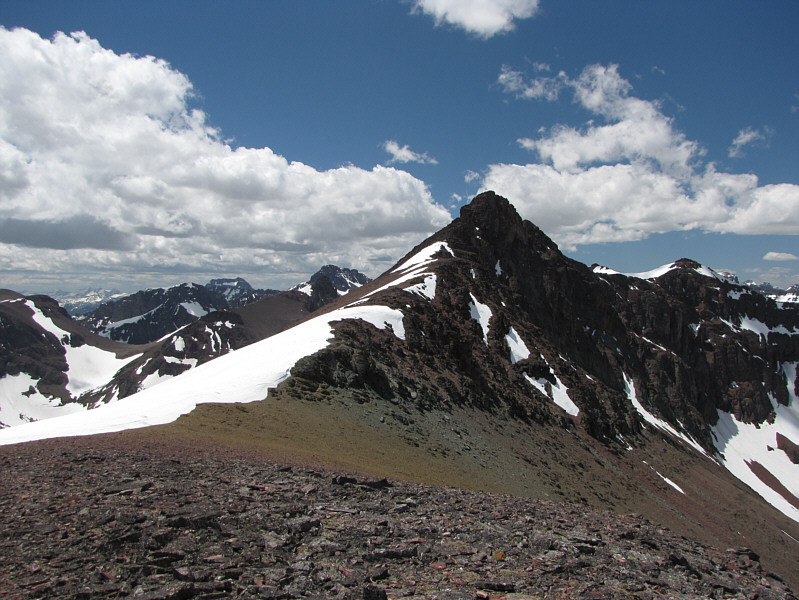 The top of Medicine Peak feels more like a connecting ridge than a summit, and I did not stay for long before proceeding to the much more shapely Mount Henry further west. 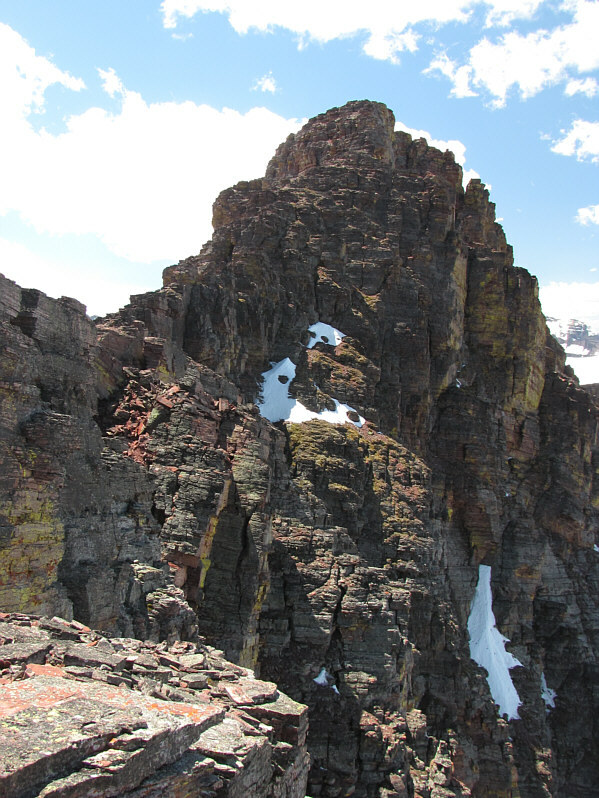 As mentioned by Edwards, "the ridge narrows to a sharp arete" (the crux) just below the summit of Mount Henry, and although he also describes a bypass gully, there was sufficient snow there on this day to make it less appealing and possibly more dangerous to ascend. The actual climbing on the arete--actually a series of pinnacles--was not difficult, but the unforgiving exposure forced me to carefully check all my holds. Thankfully, the rock was dry and solid, and soon I was standing atop Mount Henry, the high point of the day both literally and figuratively. 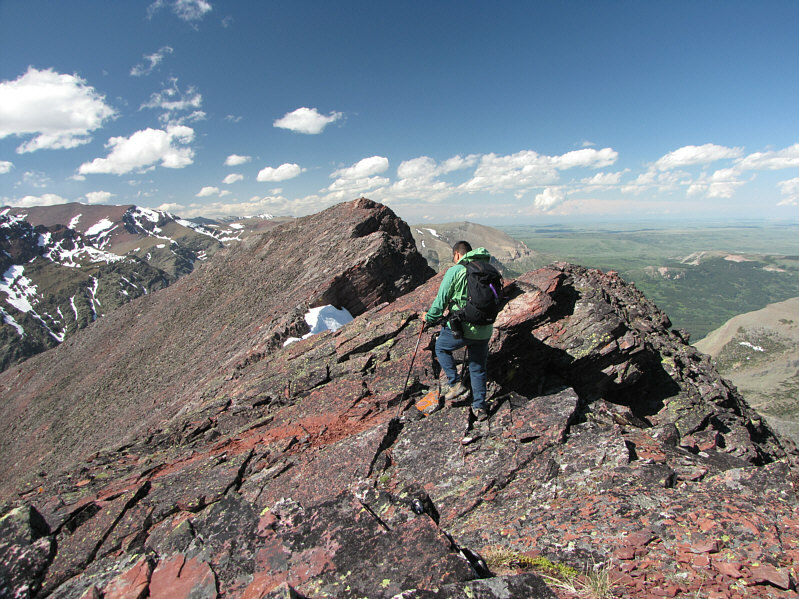 Continuing westward from Mount Henry, I easily scrambled over an unnamed high point (H1) before dropping down to a saddle just south of Appistoki Peak. As I began climbing up the south ridge of the peak, I encountered several people who had obviously come up the Appistoki Creek basin which is encircled by the Scenic Point Loop. 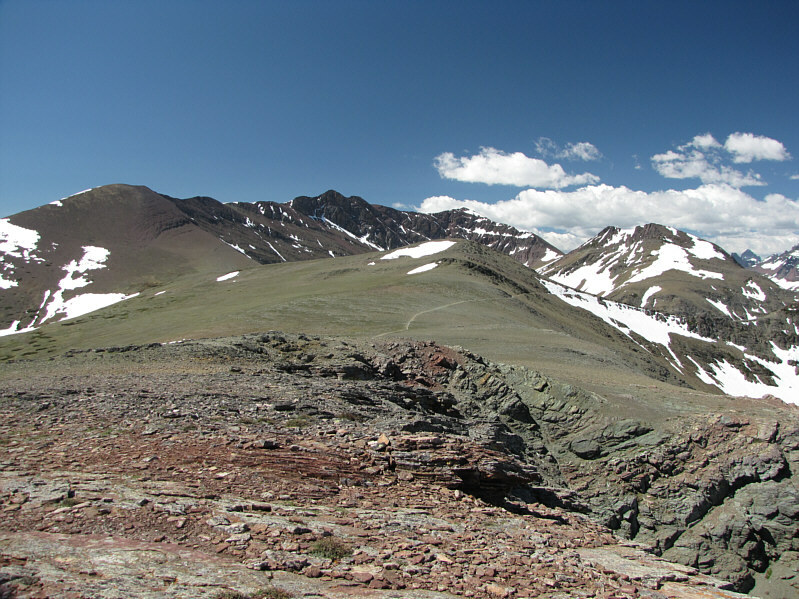 After reaching the top of Appistoki Peak, I decided to return to the saddle rather than follow Edwards' described descent routes (to the north and east) which did not look promising from my vantage point on the opposite side of the valley earlier in the day. 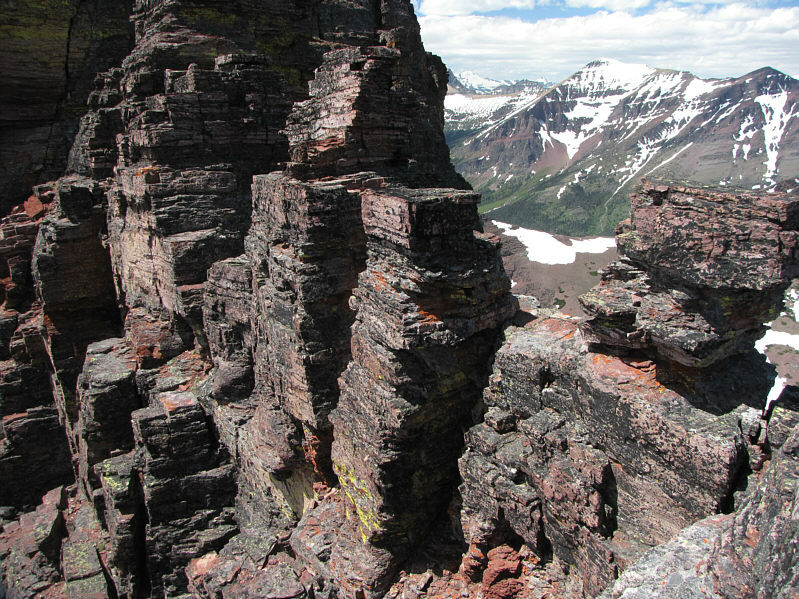 From the saddle, I dropped down into a large basin and essentially followed Appistoki Creek out the valley. This turned out to be not as trivial as it sounds as I had to bypass a major waterfall and contend with steep drop-offs along the way. 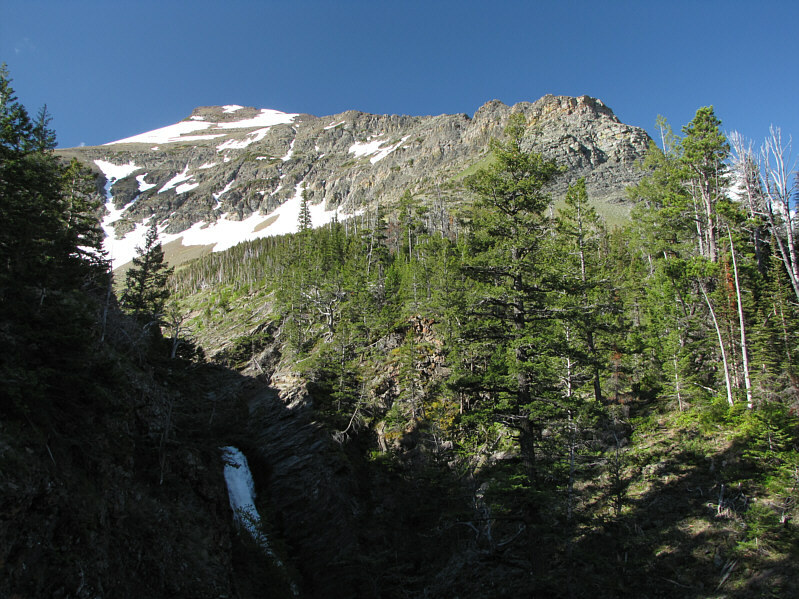 Generally, I found it easier to travel on snow patches covering the creek bed, but I was constantly wary of the potential for collapse and falling into the raging torrent which would have been disastrous. Consequently, the hike out the valley took longer than I was expecting, and I was quite relieved when I finally regained the official trail. Without the stress of route-finding, I breezed back to the trailhead to complete a most satisfying day in the mountains. Appistoki Falls looks a bit underwhelming beneath its namesake peak. 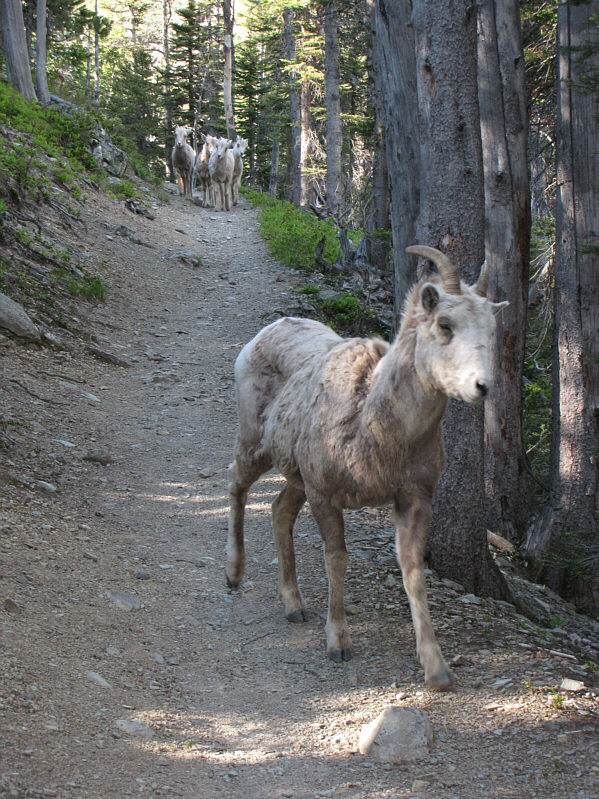 Apparently, sheep like to use human trails too. 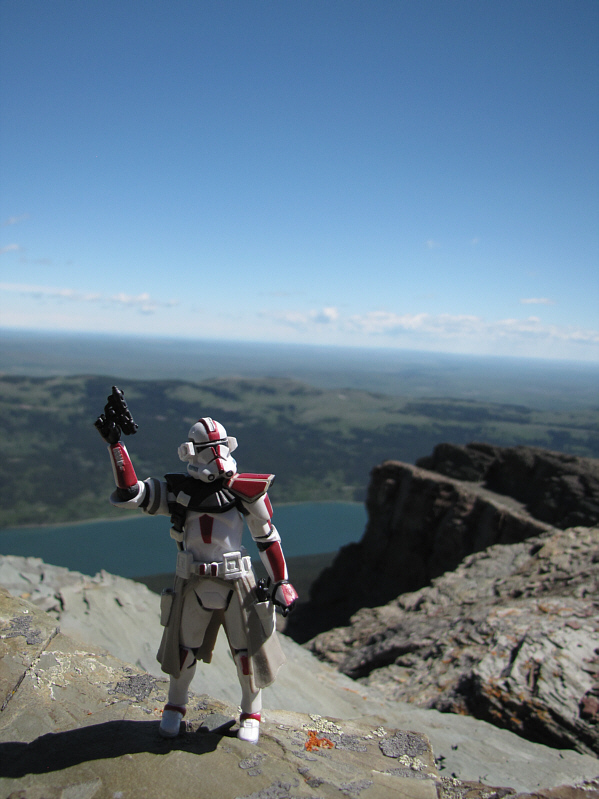 The northeast side of Appistoki Peak appears well-guarded. Limber pines dot the slopes along the approach to Scenic Point. 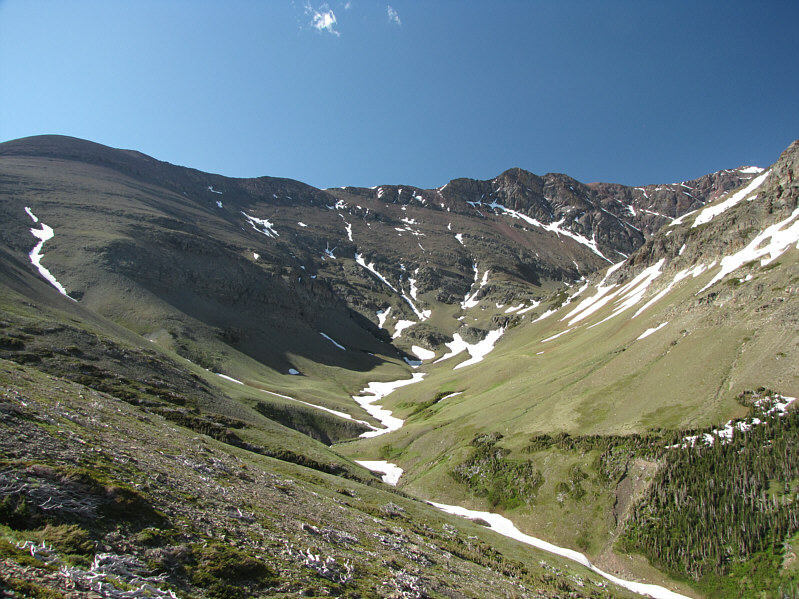 Mount Henry (right) is visible at the head of Appistoki Creek valley. 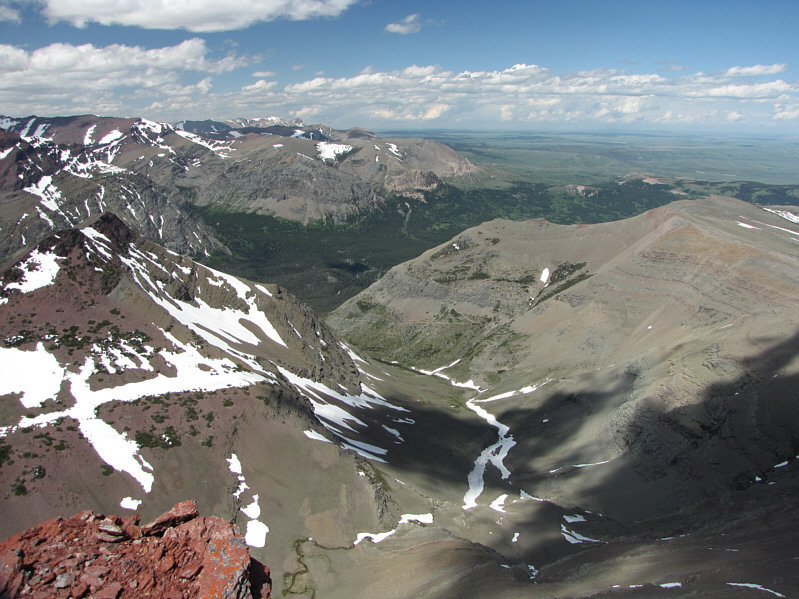 There are great views of Mount Helen (left), Two Medicine Lake and Rising Wolf Mountain from the trail to Scenic Point. Scenic Point in the distance is aptly named. Lower Two Medicine Lake is also visible. 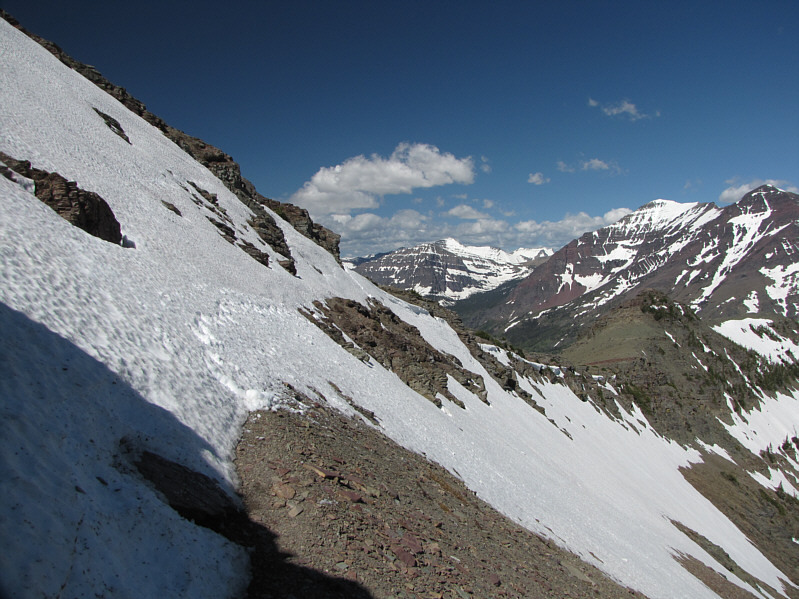 On this day, the lingering snow makes this normally easy traverse a tad trickier. 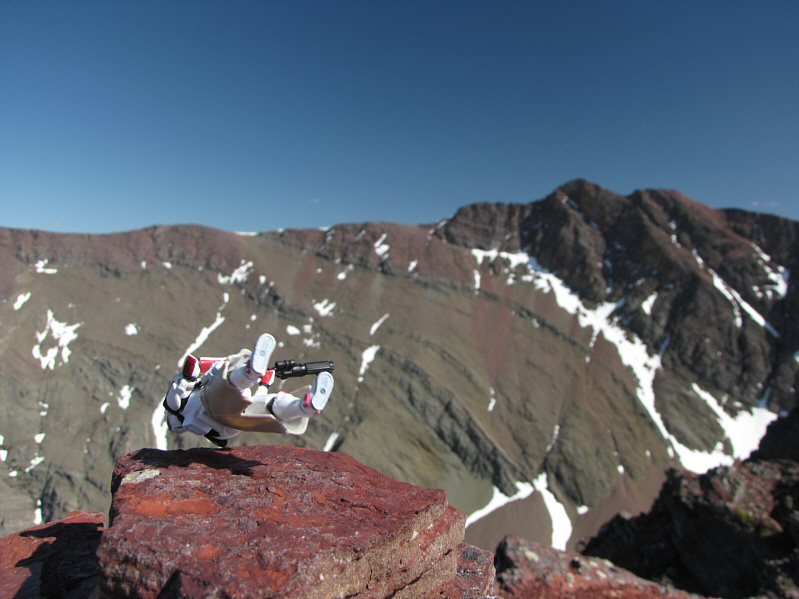 Sonny straddles a tiny cairn on the 2286-metre summit of Scenic Point. From Scenic Point, the rest of the loop is laid out to the southwest. 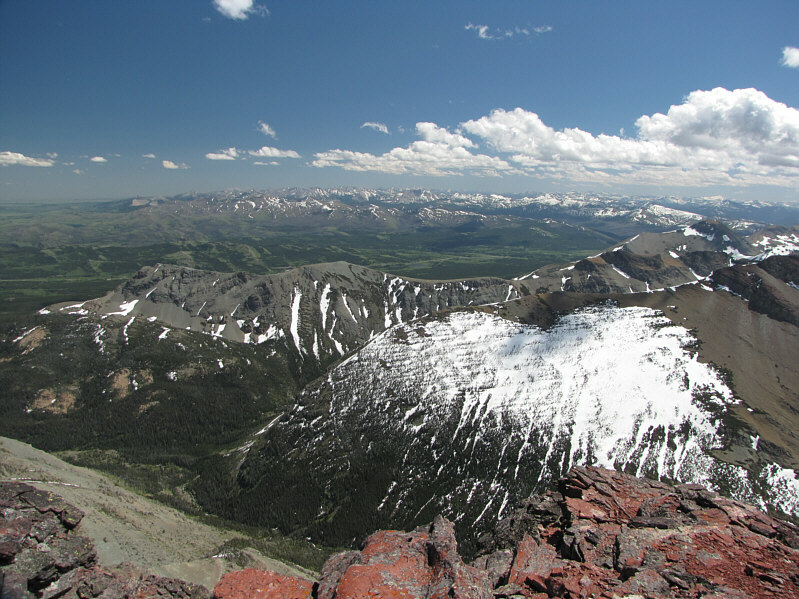 Mount Henry is just left of centre, and Appistoki Peak is on the right. 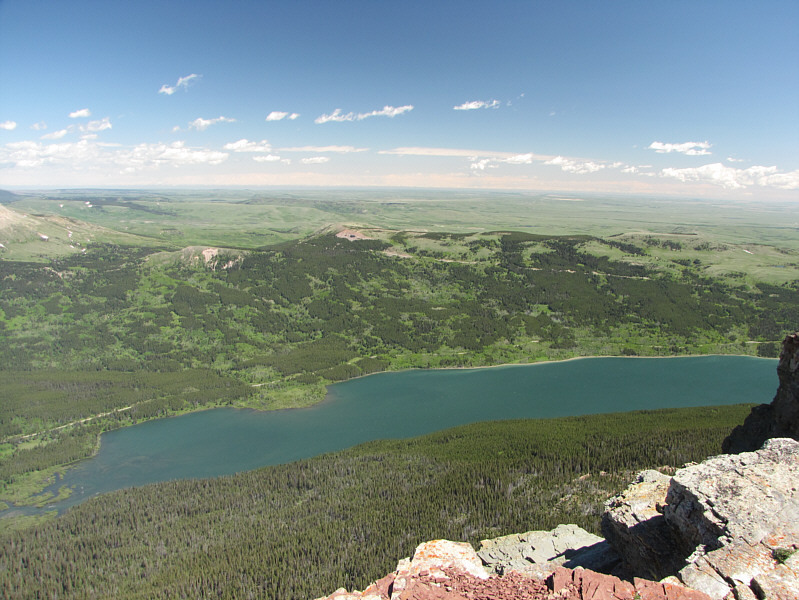 Along the loop, Scenic Point offers the best view of Lower Two Medicine Lake. 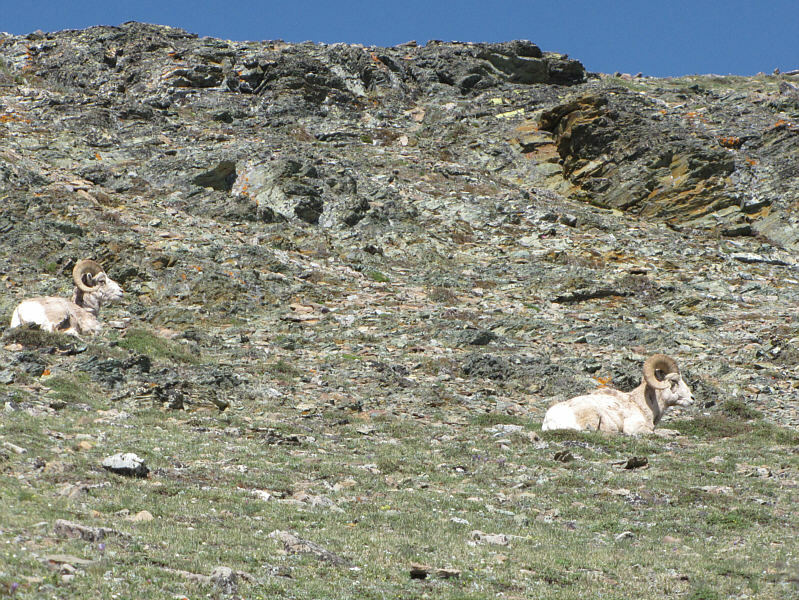 Two sheep (part of a herd of five or six) bask in the sunshine. 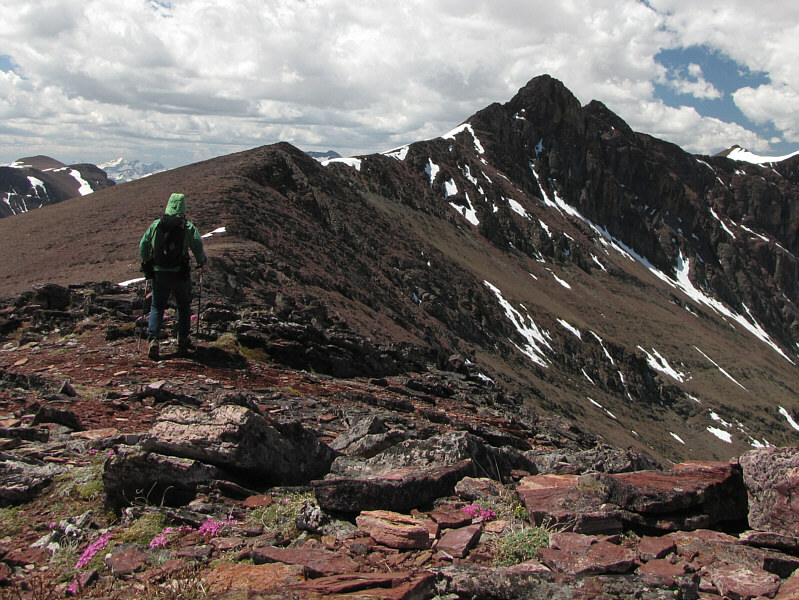 The next high point along the loop is a rounded summit unofficially known as Medicine Peak. 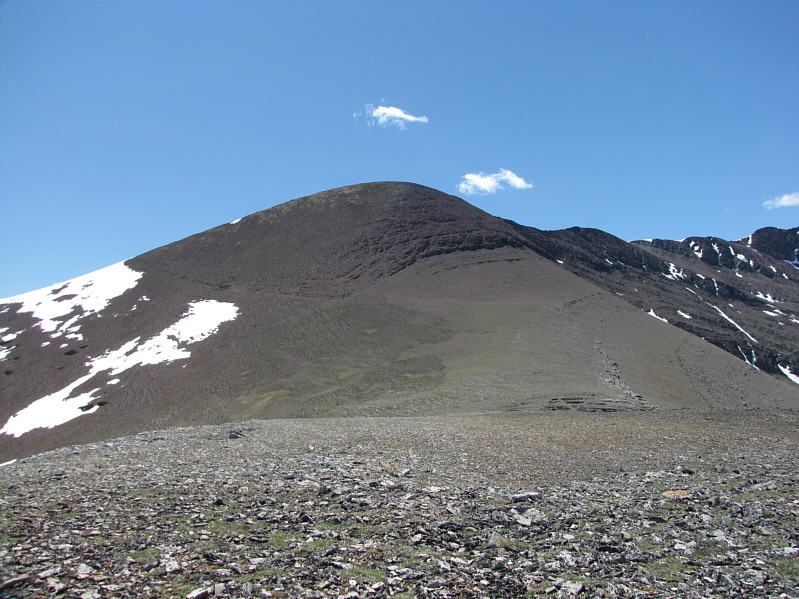 The double summits of Appistoki Peak are most easily distinguished from the ridge to the east. 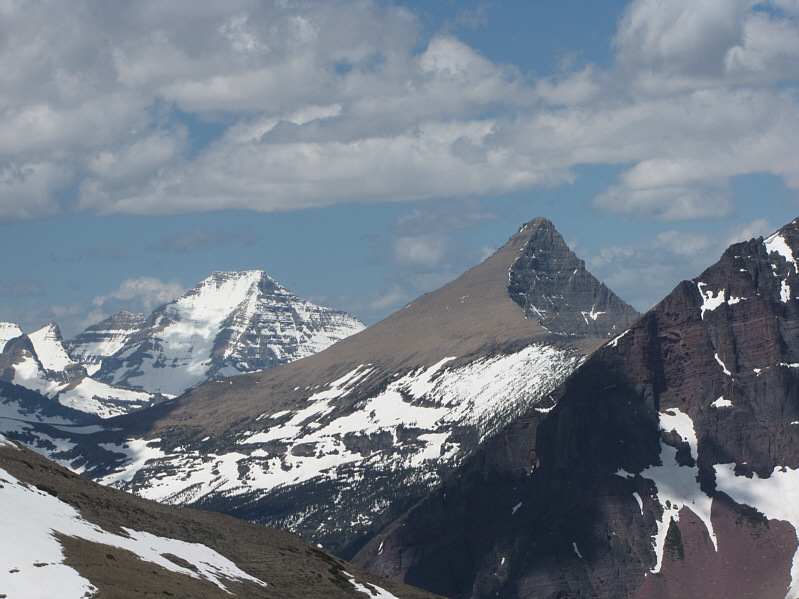 The striking forms of Mount Stimson (left) and Flinsch Peak become more apparent on the ascent of Medicine Peak. 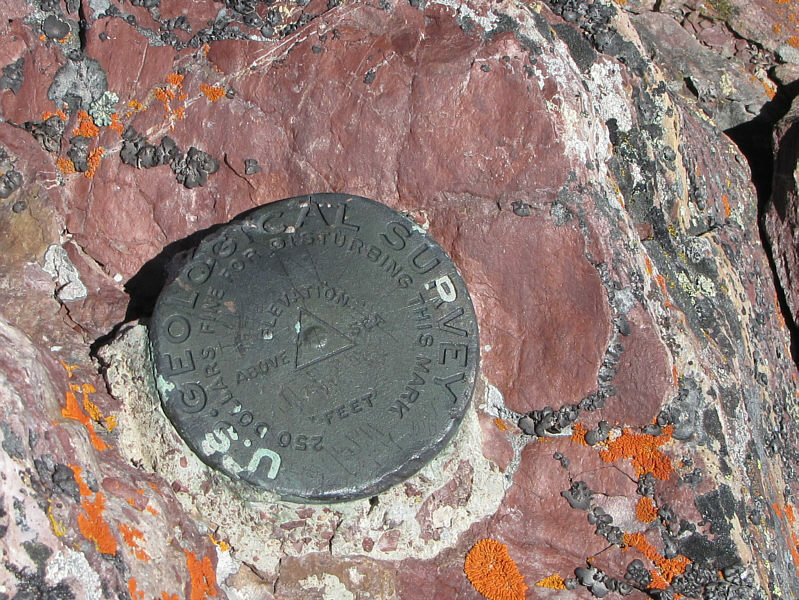 A survey marker is located on the 2597-metre summit of Medicine Peak. 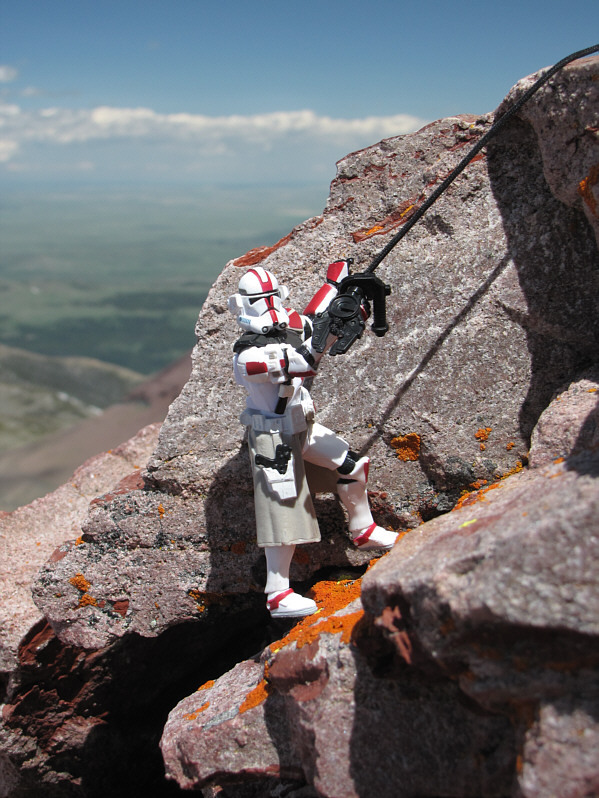 Sonny heads for Mount Henry. 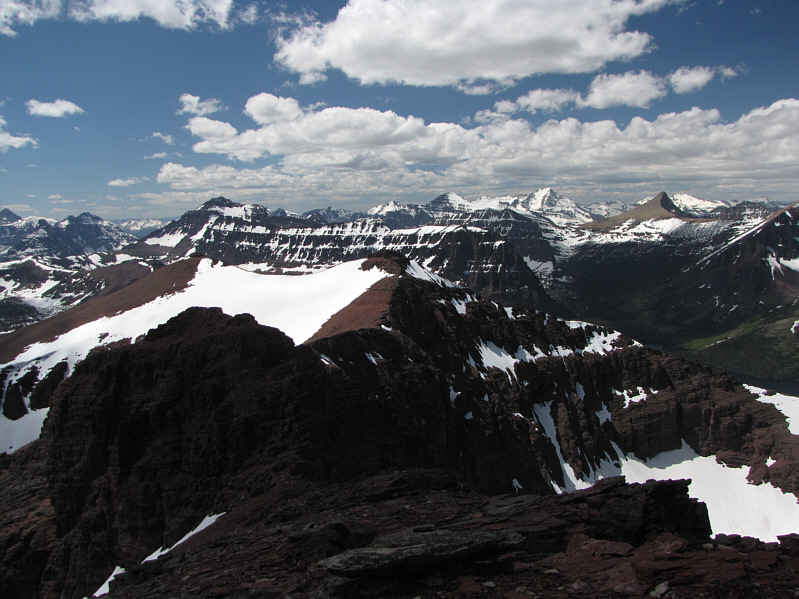 From the summit of Medicine Peak, Appistoki Peak (centre) is nearly invisible against the myriad of spectacular mountains in the distance. 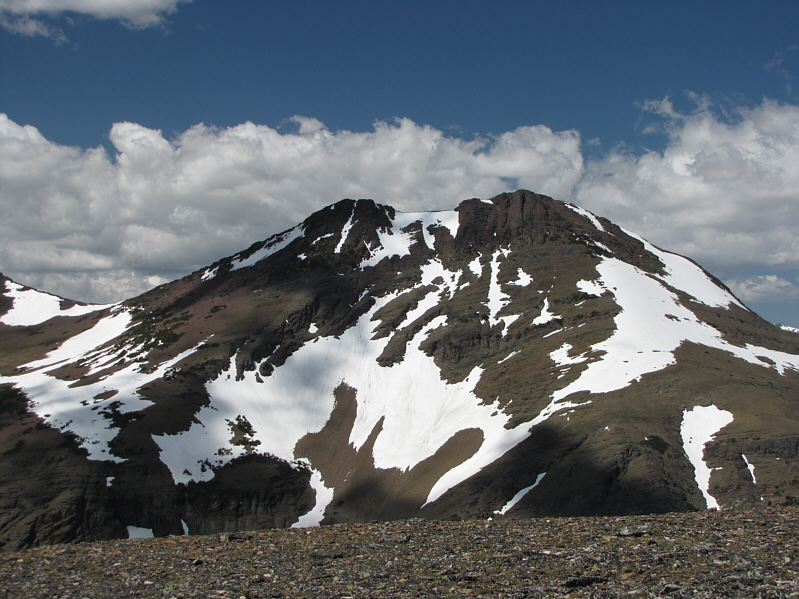 Snow still covers parts of the east ridge of Mount Henry on this day. 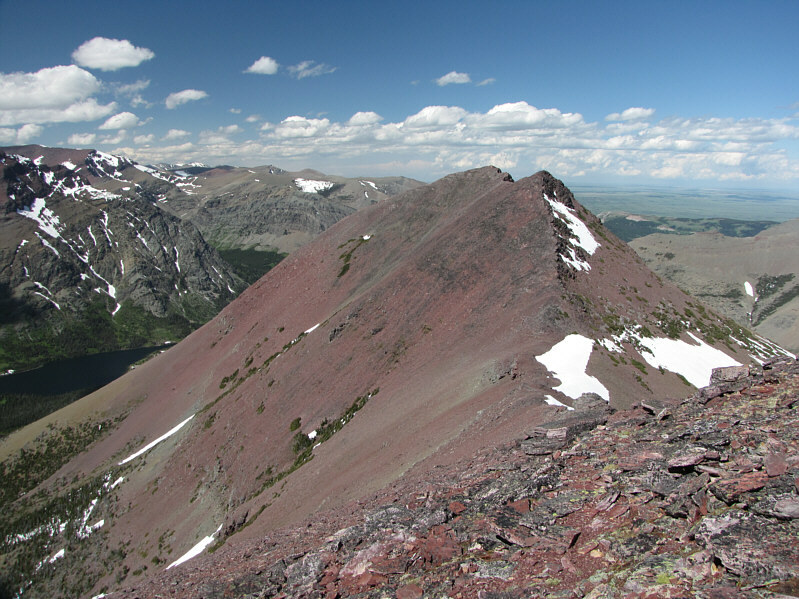 The east ridge of Mount Henry looks challenging. The crux consists of a series of exposed pinnacles. 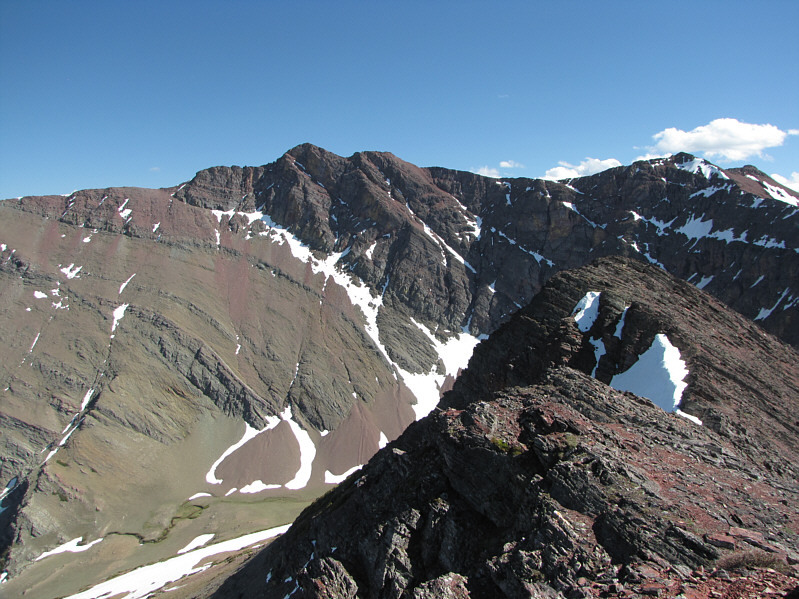 Here is another view of the crux with the summit just beyond. 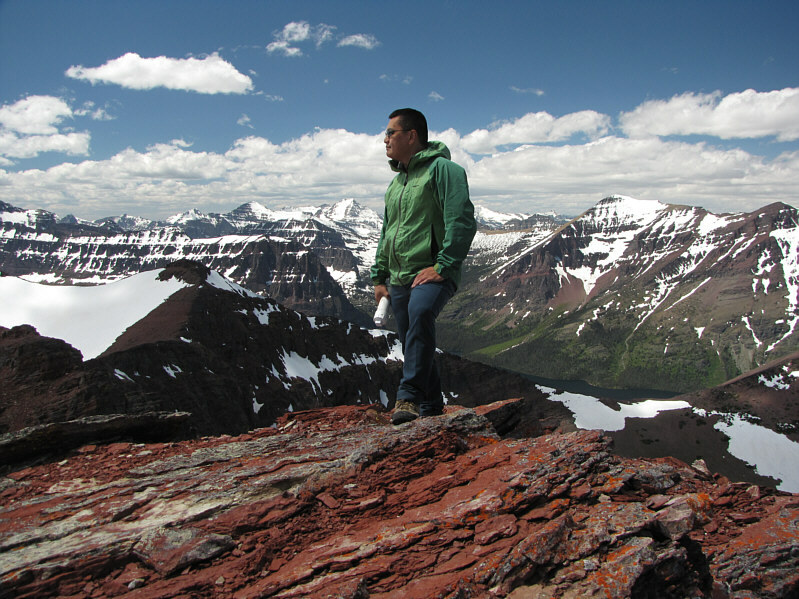 Sonny grasps the register canister on the summit of Mount Henry (2710 metres). 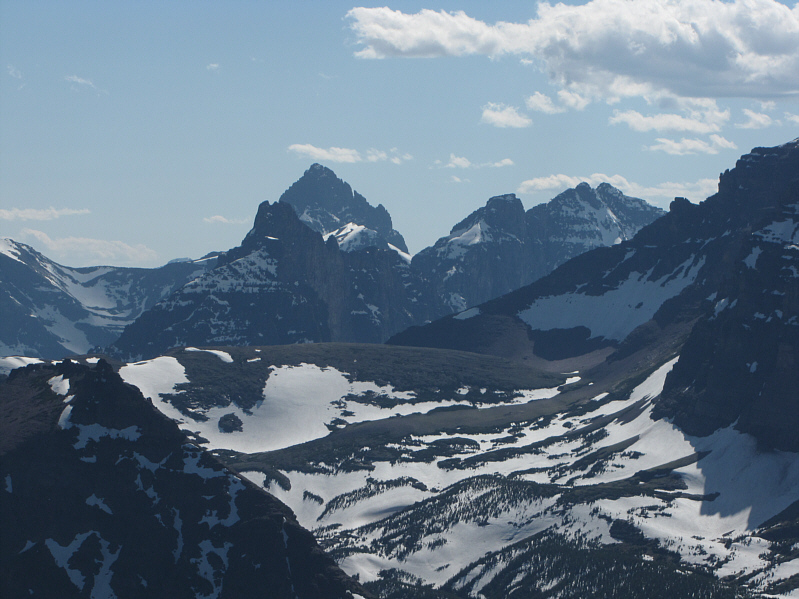 To the southeast, Stands Alone Woman Peak (far left) and Dancing Lady Mountain (left of centre) are the only named peaks close at hand. 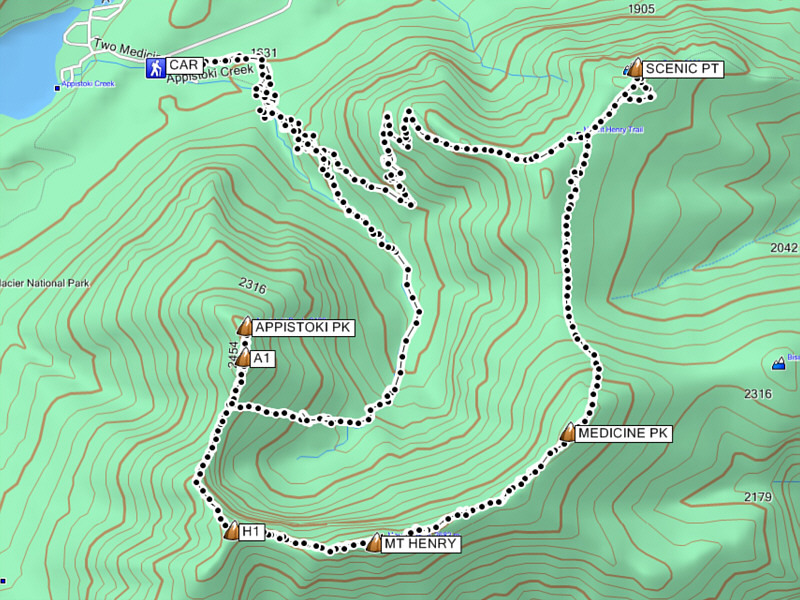 The loop continues over the next unnamed high point (H1) at centre. 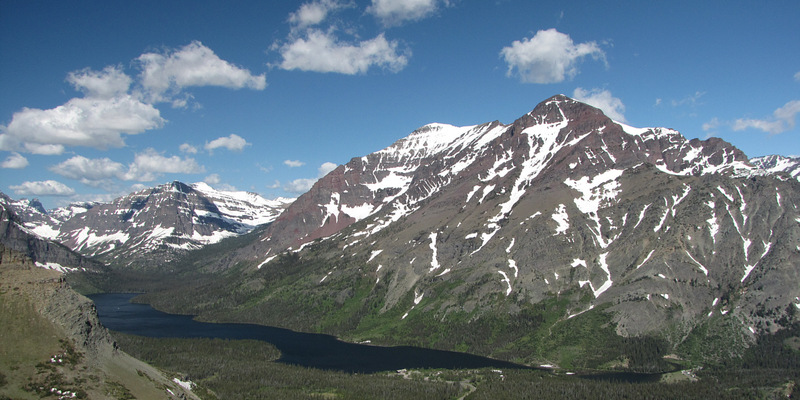 Appistoki Creek valley separates Appistoki Peak (far left) from Scenic Point (far right). 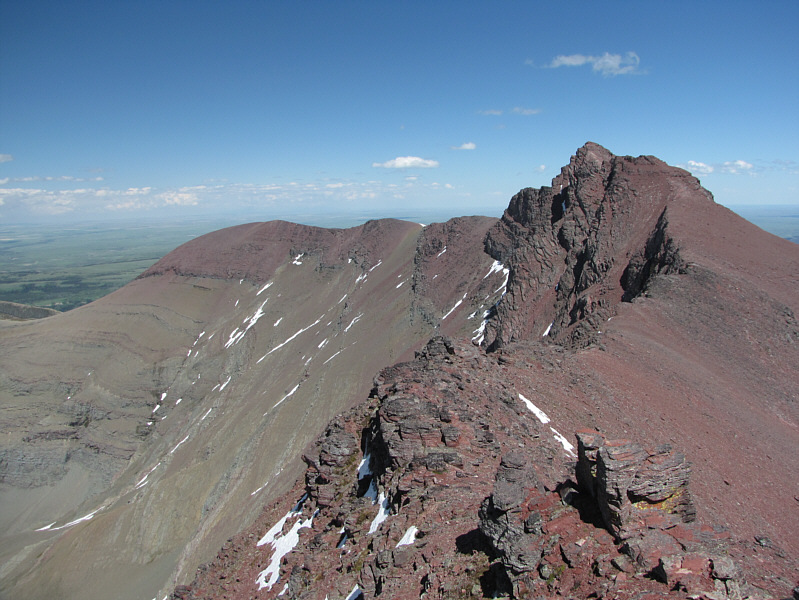 The red argillite on Mount Henry is more noticeable from further along the west ridge. 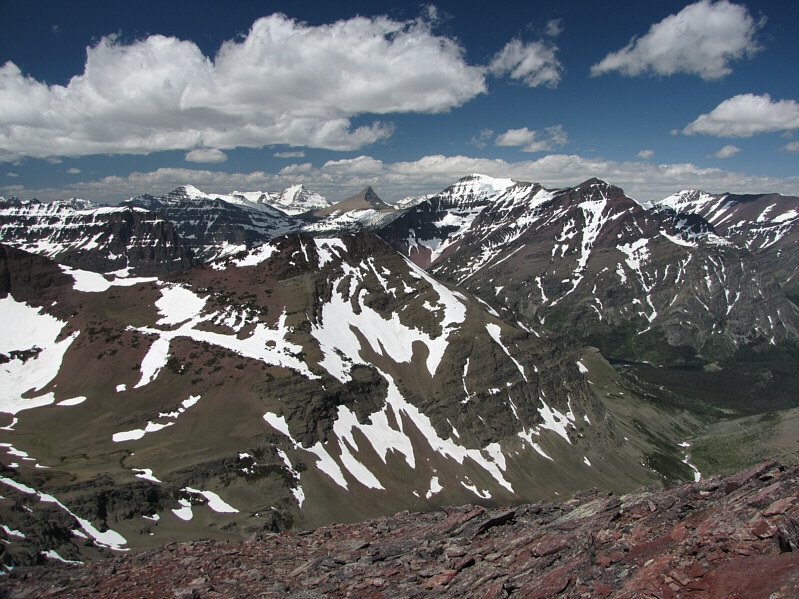 The views from H1 (2646 metres) include Mount Saint Nicholas, the pointy peak on the horizon at left. 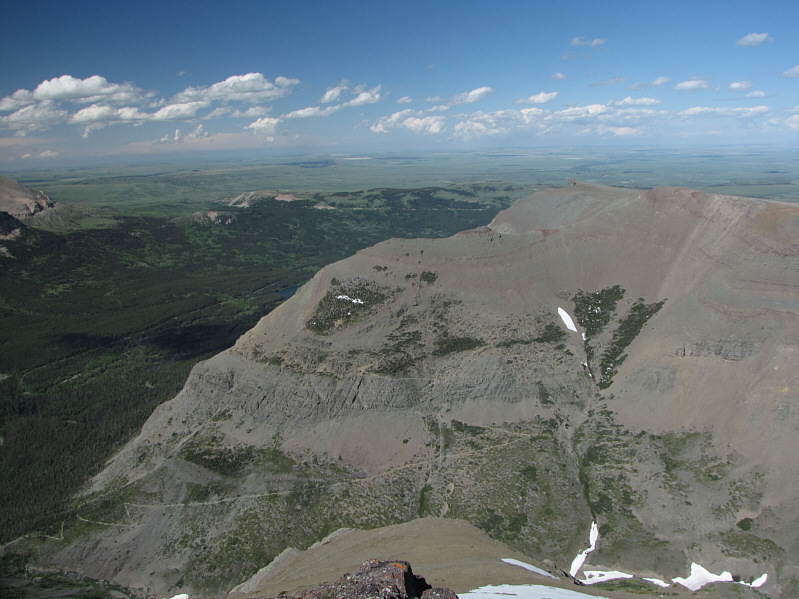 This is looking northwest from H1 at Mount Stimson, Flinsch Peak, Rising Wolf Mountain and Two Medicine Lake. The last mountain on the loop is Appistoki Peak. 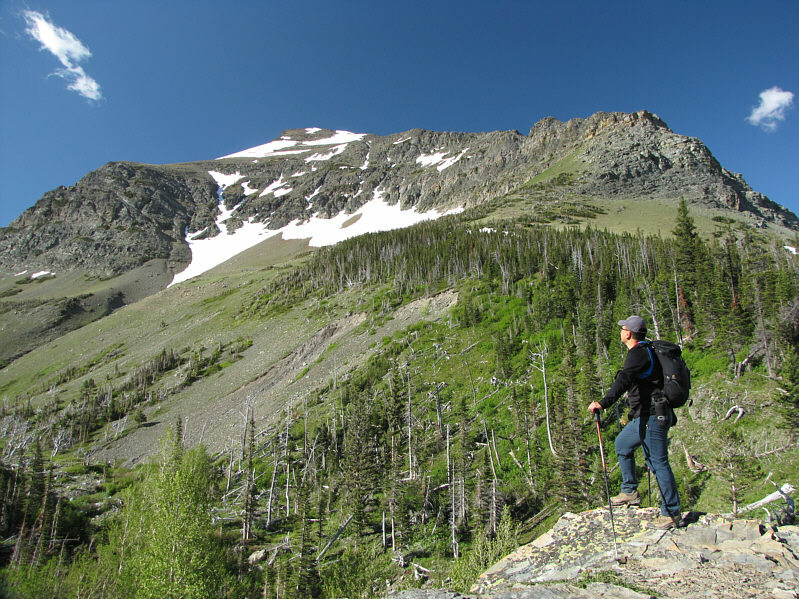 Sonny leaves Appistoki Peak's 2475-metre false summit (A1) en route to the true summit. 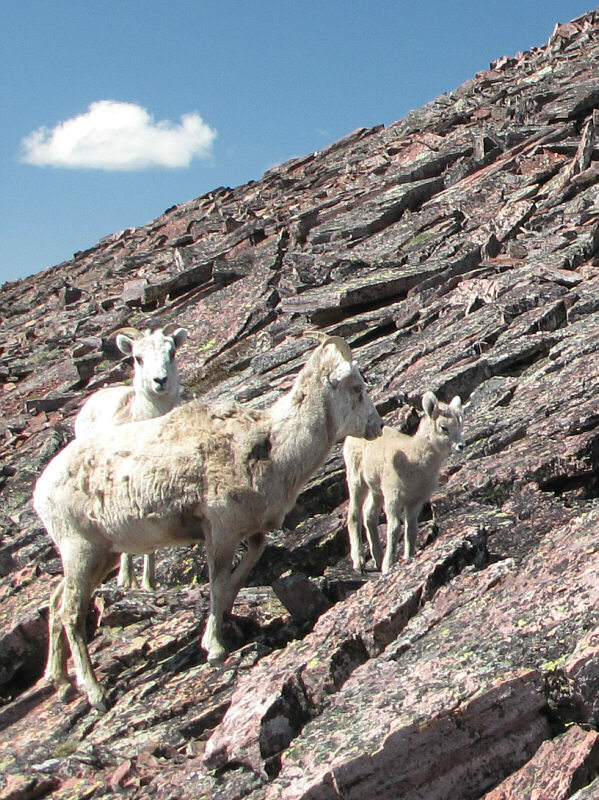 Yet another herd of sheep wander along the summit ridge of Appistoki Peak. 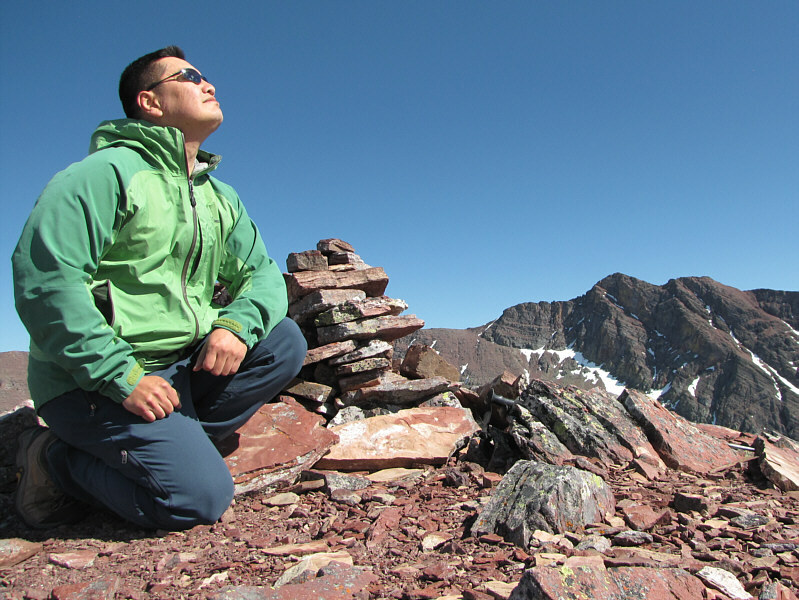 Sonny looks skyward while kneeling beside the cairn on the 2487-metre summit of Appistoki Peak. Mount Henry is visible in the distance. 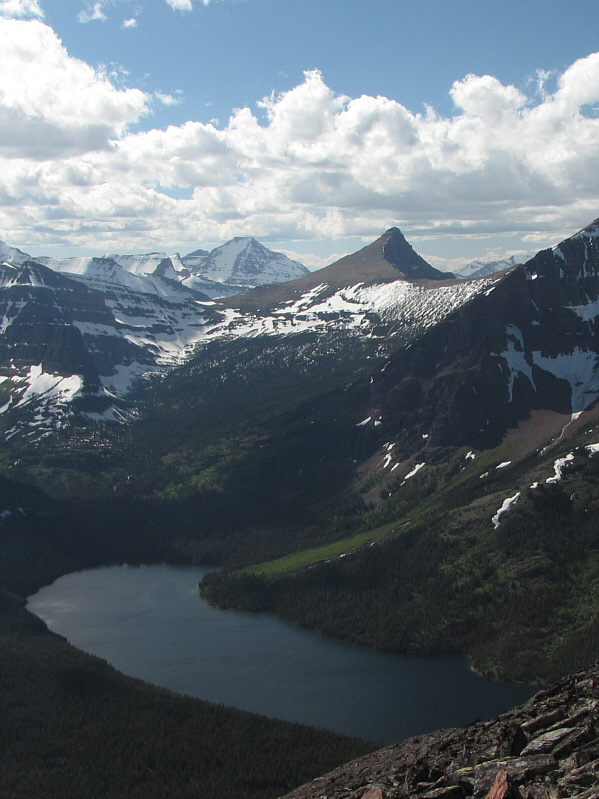 Here is one final look at Mount Stimson, Flinsch Peak, and Two Medicine Lake. To the east are Scenic Point and its approach trail. Mount Henry and H1 dominate the southern skyline. 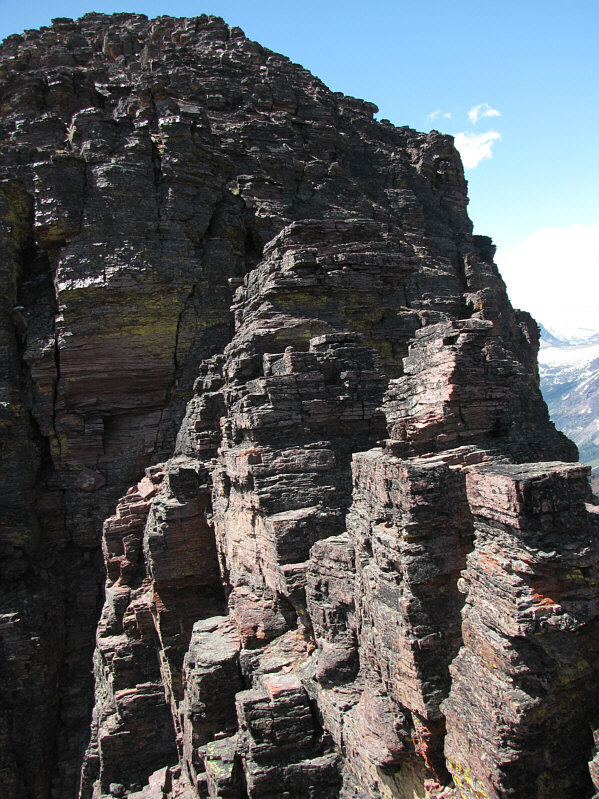 Here is a closer look at Mount Saint Nicholas, arguably the hardest peak to climb in Glacier National Park. This is one of the many lingering snow patches in the upper basin of Appistoki Creek. 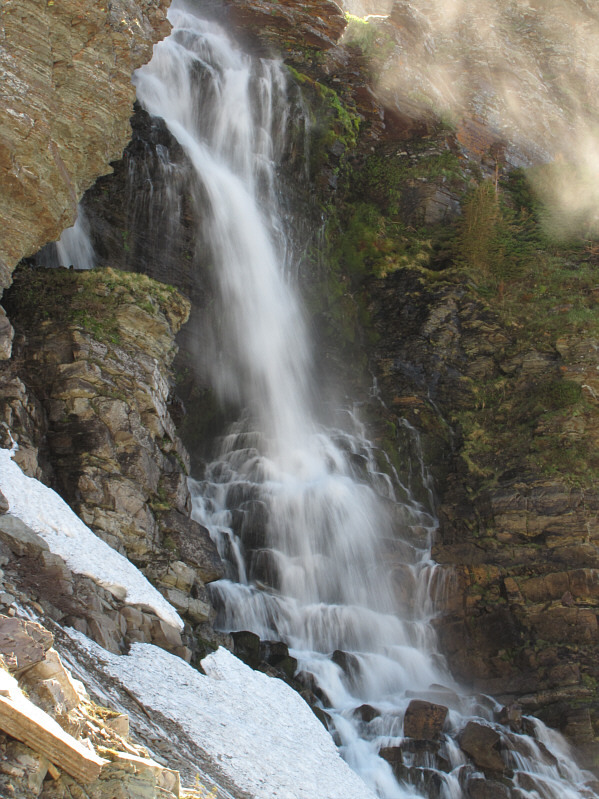 This is the real Appistoki Falls. 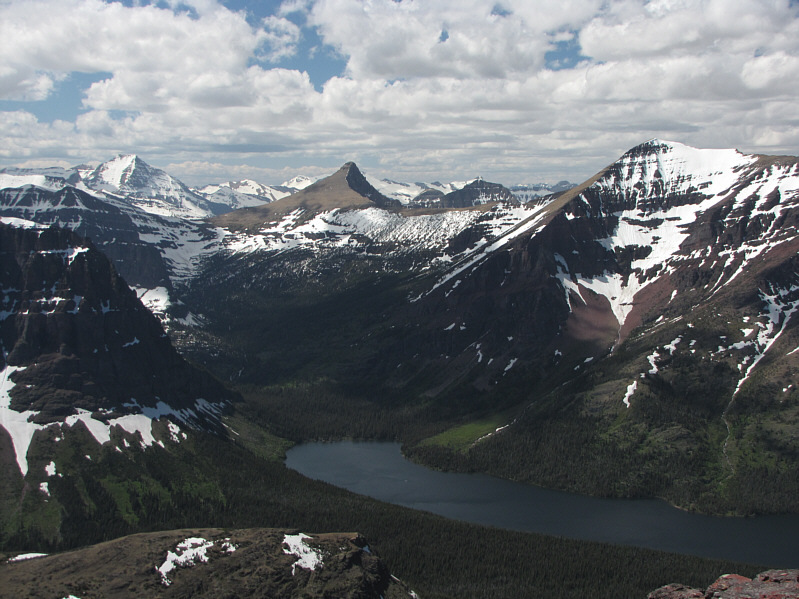 All the high points of Scenic Point Loop are visible from this vantage point across Lower Two Medicine Lake. 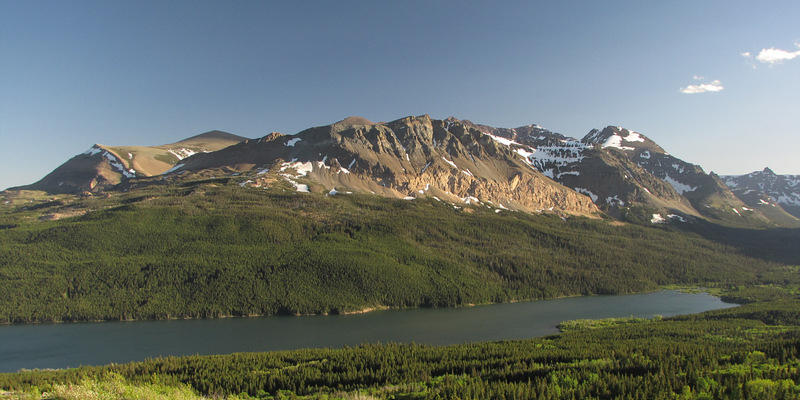 The two bumps at far left are known as The Head and Bison Mountain.